In the debate between LeBron and MJ, Jose Manuel Calderon answers without hesitation that LeBron James is the most complete player ever. 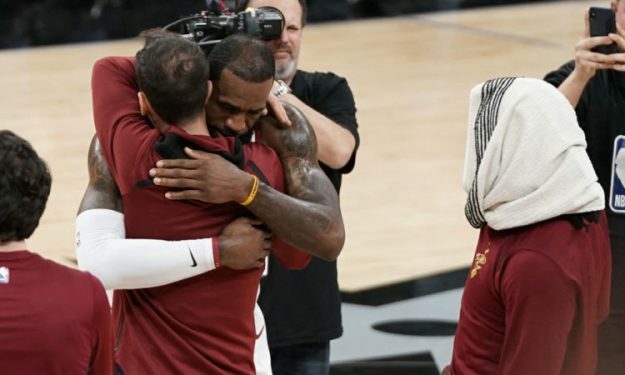 Jose Manuel Calderon talked to the Spanish radio station “Cadena Ser” after winning Game 7 and, of course, he praised LeBron James. As the Spanish guard said: “He has everything, it was the 100th game he played this season, he’s been in the NBA for 15 years, he played 48 minutes, he scores, he rebounds, passes the ball, defends the best player … I think that’s what makes him different from the others. I think he is the most complete of all great players. There have been some great players, maybe there are better scorers, maybe there are better rebounders or better passers, but I do not think anyone can do those three things as he does. what he wants at any given moment”. “For me, I think he is a much more complete player,” Calderón said when asked to compare LeBron to Michael Jordan. “He does a lot more things, it’s very difficult to get a 30-9-9 or 30-8-10 line day after day. It’s what makes him different. If we talk about the rings, it’s clear he has not arrived yet, but besides that, it’s a just a matter of opinion”.